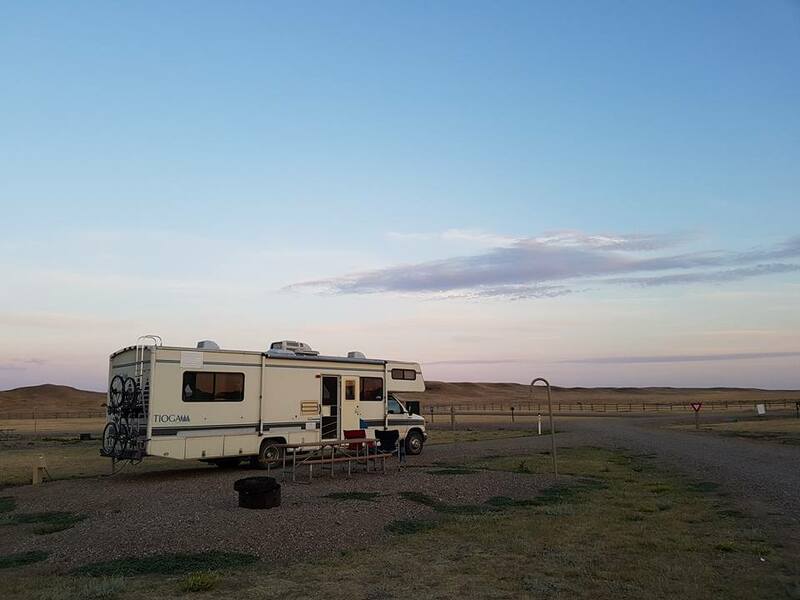 We are deeply in love with the prairie and love cruising through endless fields as far as the eye can see or rolling hills with cows grazing, camping in coulees or forests and watching infinite vistas or living skies. Esp. 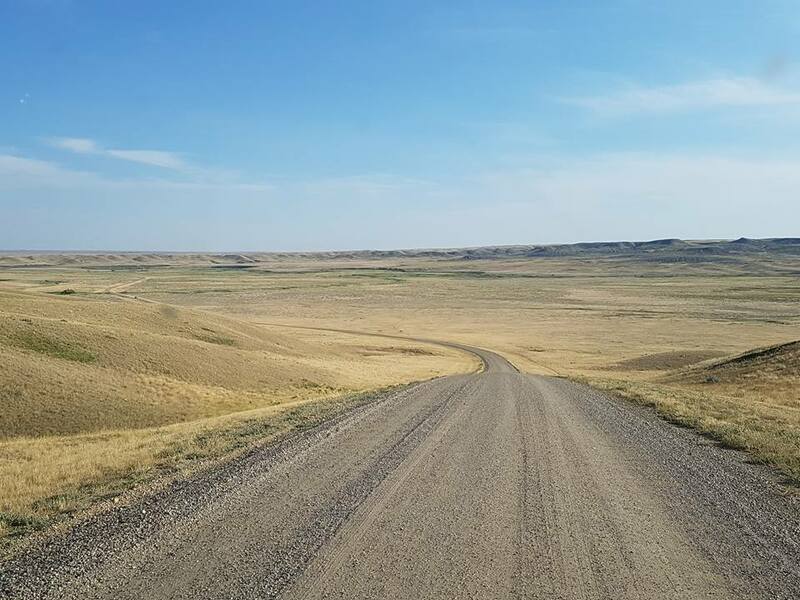 in South West Saskatchewan, we’ve driven through immense stretches of practically empty and desolate prairie, so each time someone suggested we should visit the Grasslands National Park, we were reluctant… had we not seen all that yet? Well, after nine years in Saskatchewan, we finally planned our first visit! 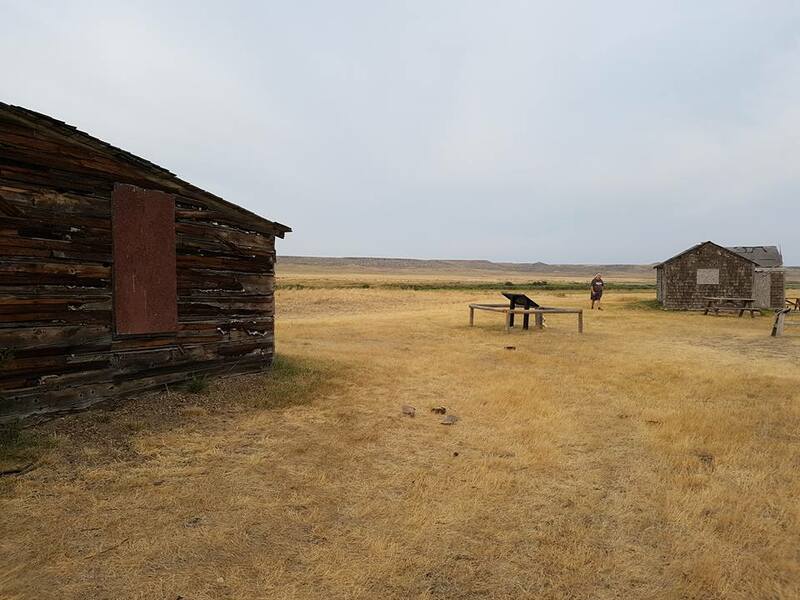 We booked two nights in Grasslands as part of a small vacation, on our way to Cypress Hills. 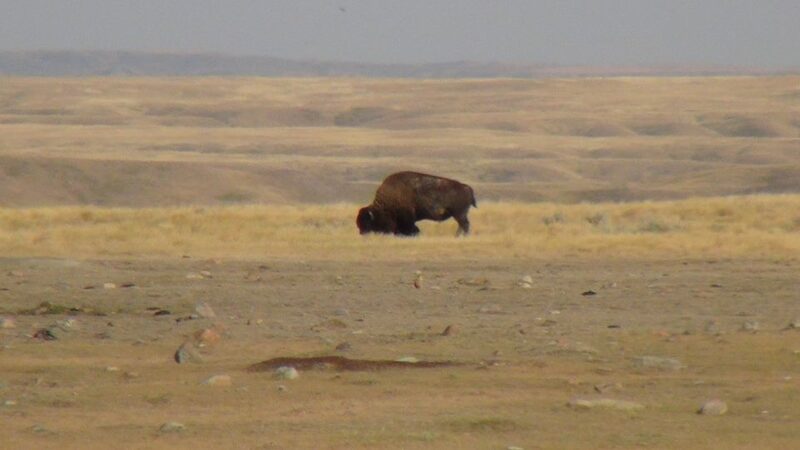 In a nutshell, the West Block is where the bison and prairie dogs are, the East Block is where the badlands are. 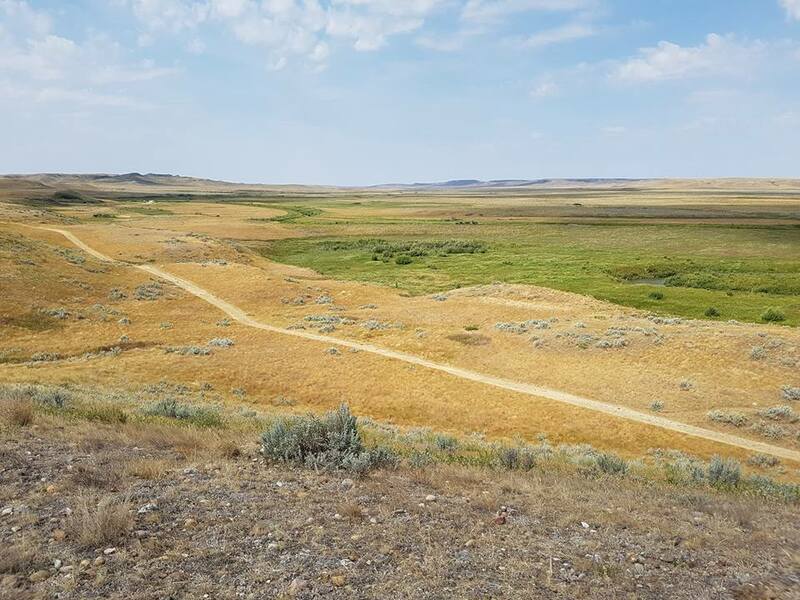 We picked the West Block, or to be more specific, the north part of the Ecotour Road and the area around the campground, as the bison were #1 on our wish list. 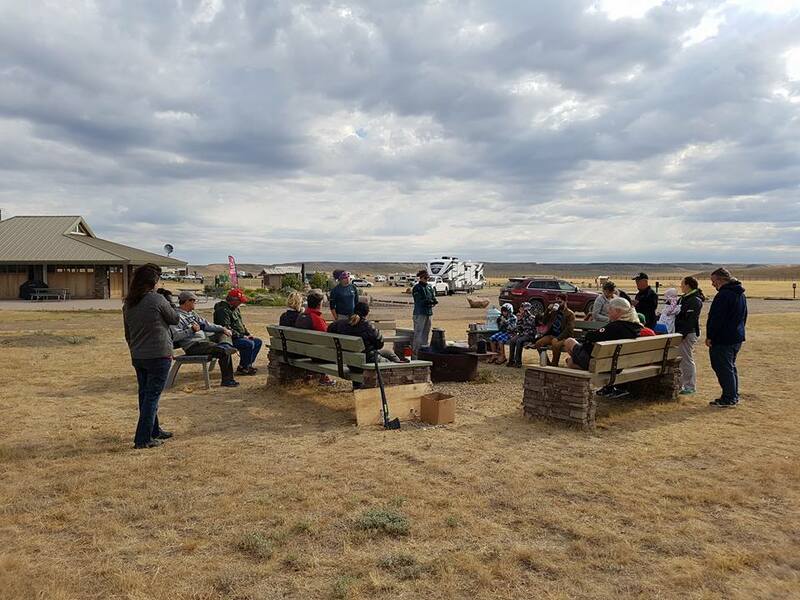 On Saturday morning we made our way to the Grasslands Visitor Centre in Val Marie, with a break in Gravelbourg to visit Toos and Darcy (thanks for lunch!). After registration, we drove back to the Ecotour Road and the entrance of the park. 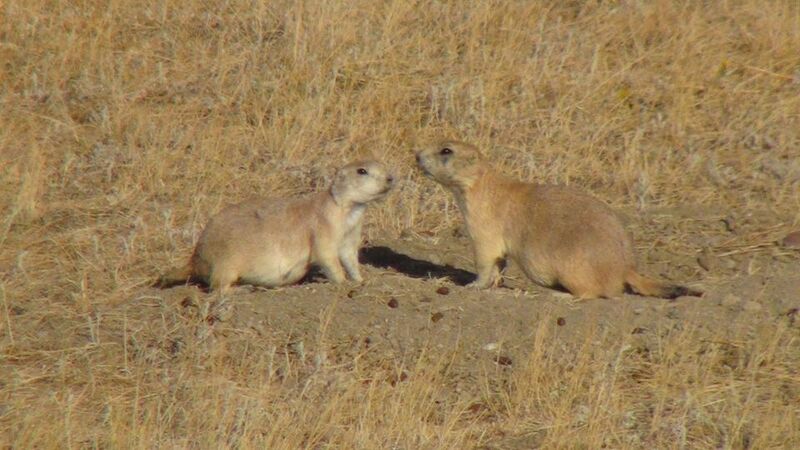 There are a few pullouts with interpretive signs shortly after you enter and we found number two to be the most interesting: a big prairie dog colony and several bison bulls close by! Check! 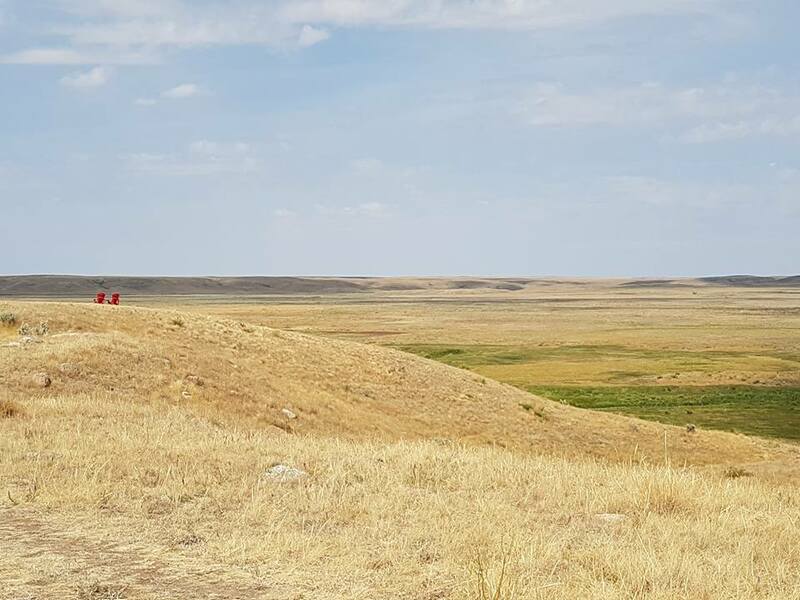 This was still on top of the prairie, but soon the road dove into the vast and rugged Frenchman Valley. As it was late in the afternoon, we continued to the campground on the other side of the valley to set up for the night. 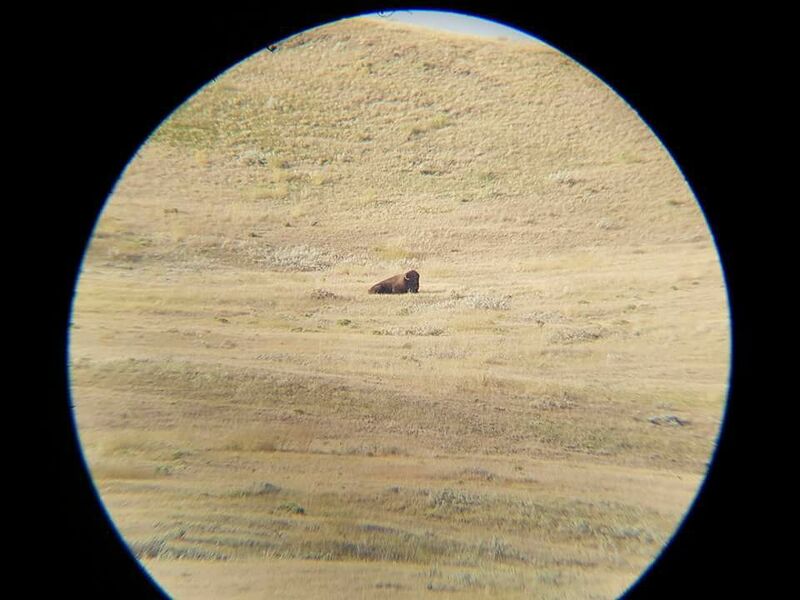 We had seen a bunch of dark dots in the distance (bison) and one bigger dot fairly close to the campground, we could see that bull clearly through the telescope. 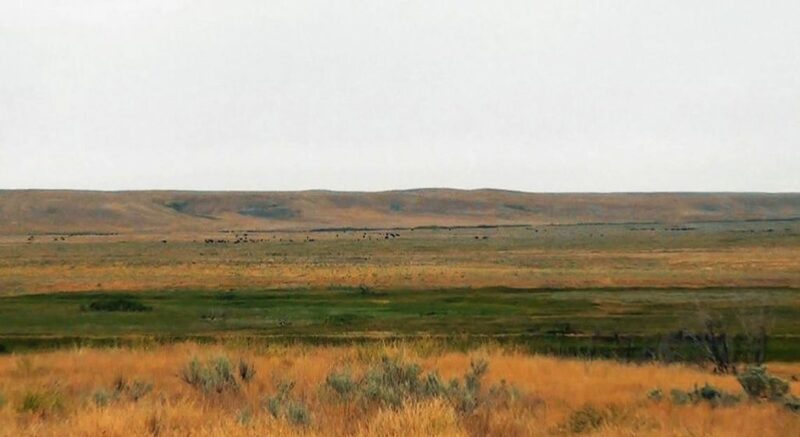 Like most of this prairie, the campground has no trees and is open to the elements. We didn’t set up much, just took our chairs, BBQ and telescope out and braved the wind to make a meal. The night sky in this dark sky preserve was phenomenal! 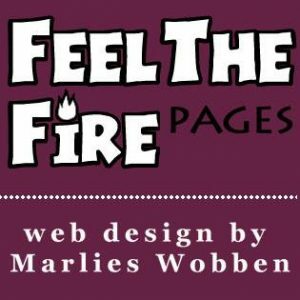 But the temperatures dipped down quite a bit and we had no fire to warm us, because of a fire ban. I woke up around 4am and looked outside to see a white arc of northern lights in the north. During the day it warmed up quick again, but there was a slight cloud cover. We started the day with a “cowboy coffee”, courtesy of Parks Canada. 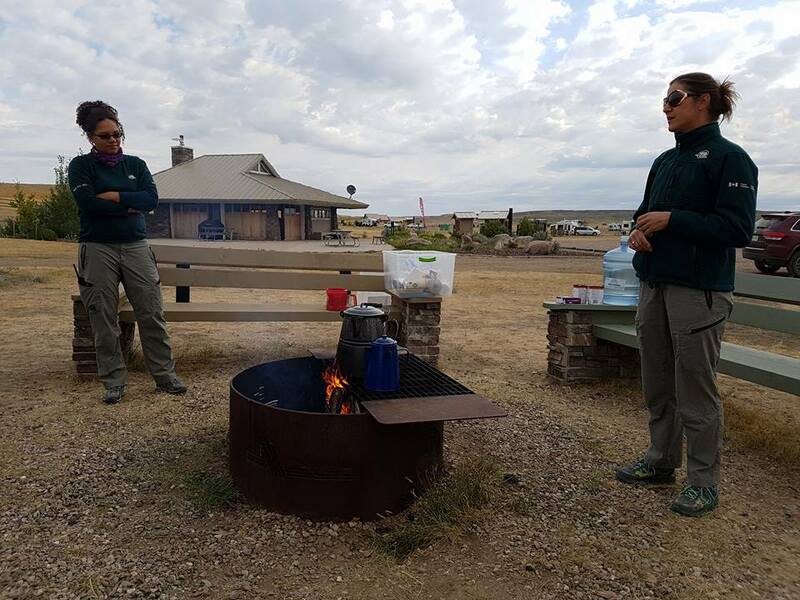 Coffee was made over the fire in a big pot – water with coffee grounds brought to a boil for a bit, then some cold water was added to make the grounds sink to the bottom. It wasn’t bad either! The girls also told stories about the park and we all chatted for a while. 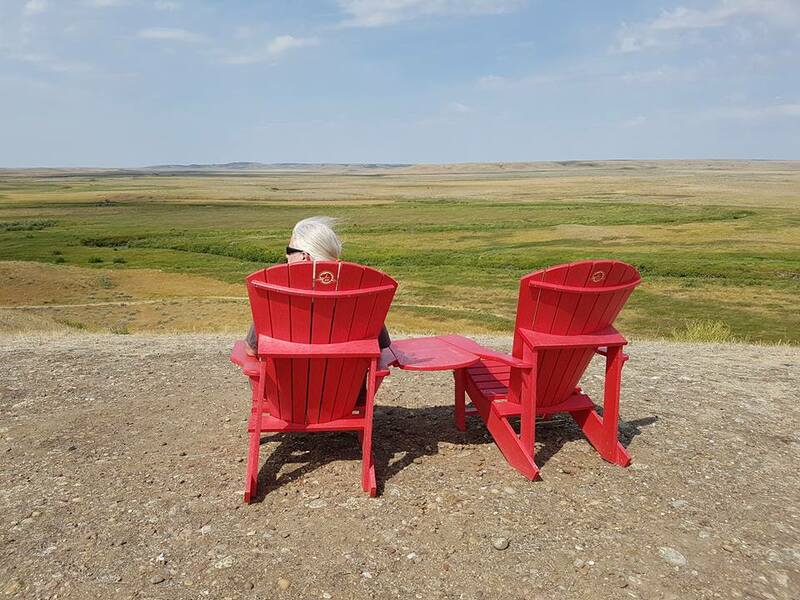 After that we walked up the hill to the Belza rest area, where Parks Canada put two of those red chairs at a viewpoint overlooking the Frenchman Valley. Impressive! We followed a bison bull cross the valley for a bit. 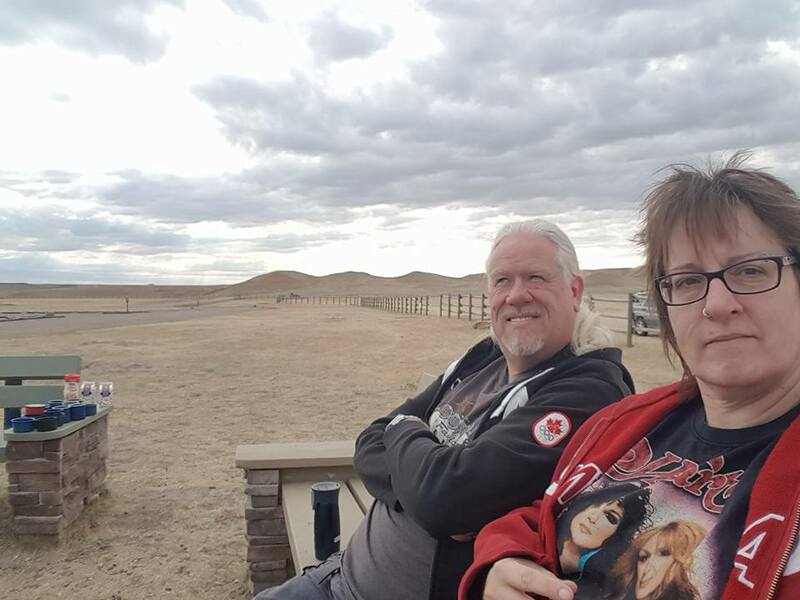 We chilled at the campground, but the wind was draining us, so we had a nap and later I walked to the end of the campground with our video camera, where you can also look out over the valley. I saw a bull on the other side and I bet it was the same one we saw earlier. At the end of the afternoon we needed some exercise and walked further down the Ecotour Road to the remains of the Lawson homestead. 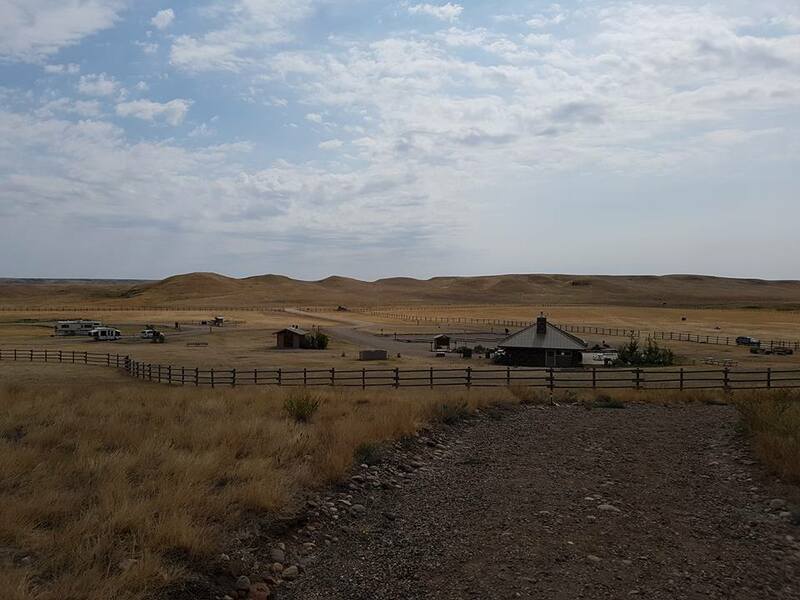 Walt Lawson started a ranch that became quite successful. We walked to the river there and it looks like it’s a popular spot for the bison to cross (lots of dung)! Upon return to the campground we realized there was a geocache near the entrance and we found it. The night was uneventful… unfortunately cloudy, so no stargazing! The next morning it was time to leave this park, but not before we spotted more than 100 bison! Wait, what?! Yes, before we crossed the valley, we saw a huge herd on the other side. While filming I roughly counted 120 bison cows and calves! 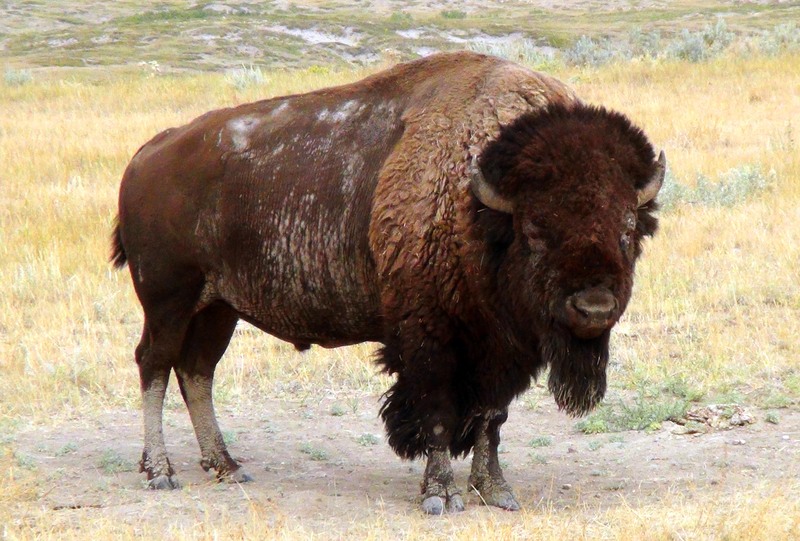 It gave me goosebumps as I could suddenly picture the whole valley full of bison as it used to be before the European settlers came over! 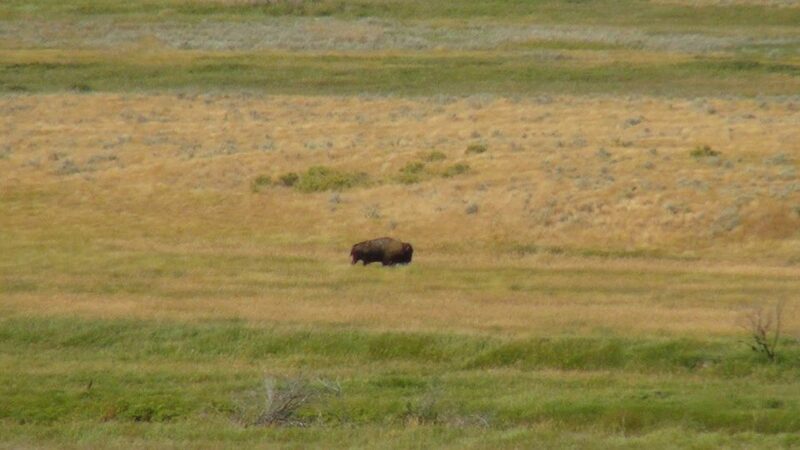 When we got back to the prairie dog colony on top of the prairie, we saw a few bison bulls laying in the grass and then one big bull standing right by the road! After checking out the prairie dogs for a bit, we very slowly drove by the bull and luckily he didn’t show any sign of agitation or even interest in us. It’s rutting season, but I guess we didn’t look like a bison girl to him 😉 We had the chance to film and make pictures – what an amazing end to our visit to the park! 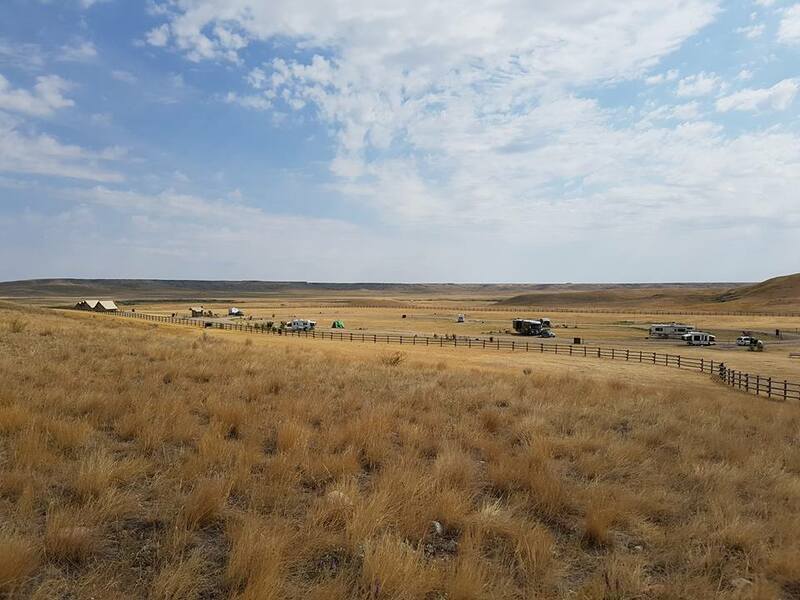 Although the camping part was very different from what we usually do, Grasslands National Park totally delivered with amazing vistas of undisturbed prairie grasslands and unique wildlife! 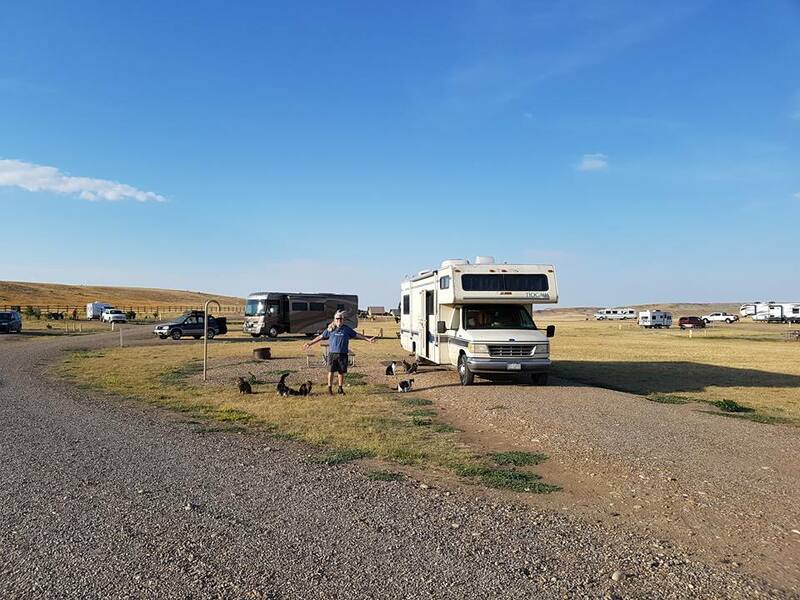 The Frenchman Valley campground is small and offers no shelter for the elements, but is situated on the edge of the valley with stunning views at the end of the campground or on the hill next to it. 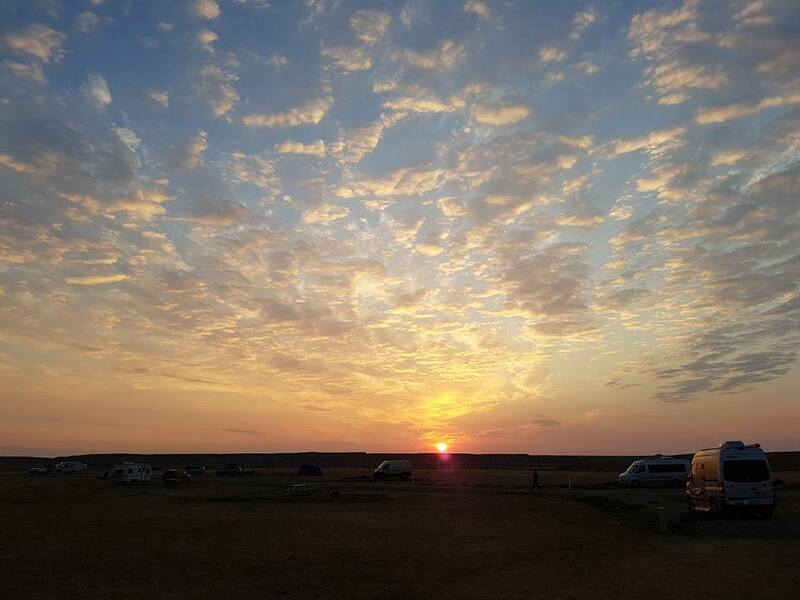 A trip here is not so much about camping, but about the park and its unique wildlife, nature and vistas. There are pit toilets in clean little buildings, but no showers and there is a cook shelter with WiFi to escape the elements and talk to staff. There are some activities like guided walks or cowboy coffee.